“My mission in preparing and publishing my testimonial is to dispel the CBD naysayers, to provide hope for the millions of people suffering from a wide variety of debilitating physical issues, emotional issues, depression, and more that may be lessened or reversed with CBD Hemp Oil,” said CBD Ray. It was CBD that Ray chose to try as a last ditched effort to find some natural non pharmaceutical relief. After educating himself about CBD and doing the due diligence to find the best processors, he made his selection of CBD, he began using it, and the rest is history. 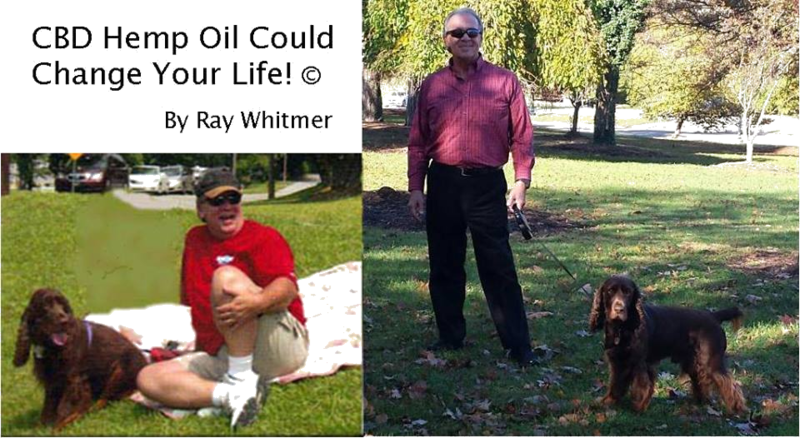 Longboat Key, Florida resident Ray Whitmer, AKA “CBD Ray,” has published his personal testimonial of a life shattered by a series of accidents that resulted in very serious orthopedic injuries that began in his youth. At age 56, “CBD Ray” suffered a catastrophic injury requiring multiple surgeries that landed him in bed for eight months and sent his life into a dangerous downward spiral. Ten years later his worsening chronic insomnia, chronic pain, arthritis, spasms, and more that had ravaged his body and his life was being treated with 160 Vicodin tablets each month, plus muscle relaxants, plus anti depressants, and other meds. Ray was in such excruciating pain he rarely ventured out of his home. Ray tells of slipping into severe depression realizing that everything that plagued him was only getting worse day by day and likely to accelerate with age. It was only after the opioid overdose death of a dear friend who became addicted to opioids prescribed for pain, for Ray to realize he too was in trouble. CBD Ray’s Testimonial outlines the result of his CBD usage, beating a 10 year opioid dependence, reversing his depression, and much more that transformed and saved his life. Read the entire “CBD Ray Testimonial” here.